Viber, the app that has promised free messaging and calls to its users since it’s inception, has today announced it’s first step into monetization. As has been the case with competing apps like WhatsApp, MessageMe, and even Facebook Messenger, Viber plans to use stickers, large clipart-style emoticons and text, to generate revenue. The company will be creating its own paid content, as well as licensing content from other sources such as television shows, branded characters, etc. Not all of the content within the Sticker Market will be paid, but some of it will be available through in-app purchase. 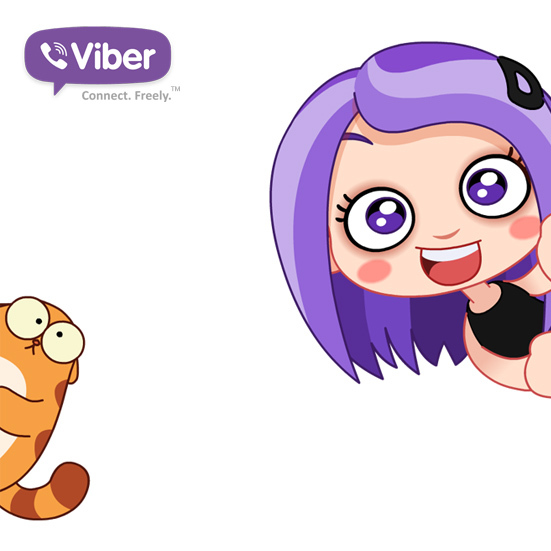 Viber first introduced stickers back in December of 2012, but has always maintained an entirely free, and ad-free, experience for its users. The Viber Sticker Market will launch “soon” with an update, but the company wouldn’t go into any further detail regarding timing. Viber would not disclose the split of revenue between the company and the brand or artist licensing the paid stickers, nor would the company share which brands it is working with for launch. However, Viber did mention that both Viber and the licenser determine the cost of a sticker. Furthermore, we can “definitely” expect more paid features out of Viber in the future, according to founder Talmon Marco. Remember, shortly after unveiling stickers, Viber launched a doodle feature. It wouldn’t be a surprise to see the company monetize further functionality within that feature, like unlocking extra colors or drawing tools. For now, however, we’ll have to wait and see how the Sticker Market plays out for the messaging app, which has over 200 million users.